Cloud computing has excellent benefits and is becoming popular the world over for its ease of access, but is it safe? One of the major benefits of cloud computing is that it is distributed and accessible anywhere--but this can also create security hazards. To ensure safe cloud computing, you need to use reliable identity verification, such as 2 factor authentication (2fa). Without consistent identity authentication, there's no way of knowing whether the person accessing your secured documents is you, or a hacker trying to get data for their own purposes. There are many online verification solutions for safe cloud computing, and 2 factor authentication is one of the best methods. With this type of online identity authentication, you prove that you are who you say you are with more than one type of authentication. The two factors are "something you know," and "something you have." The something you know is an item of information, like a password or the answer to a preset security question. The something you have is either a one-time pass code or a physical item such as a USB drive or a smart card. This type of authentication is so safe because it means that you need both keys -- the thing you have, and the thing you know -- to access your data. The identity verification software will not let anyone pass that doesn't have one or the other. Using a USB drive or smart card for the physical item makes things even safer because it means that a hacker would have to physically steal this item from you. For ease of use, the "thing you have" can also be a one-time only pass code. This means physical items do not have to be exchanged, but it also means the data can only be accessed once with each code. This makes it trivial to identify if someone else has used your code and accessed your data. It also means that you do not have to worry about someone discovering your pass code, because your pass code will only be usable on one occasion regardless. As cloud computing becomes more and more prevalent, it becomes even more important to practice safe security measures. By using the correct authentication and identity software you can ensure your data stays safe. 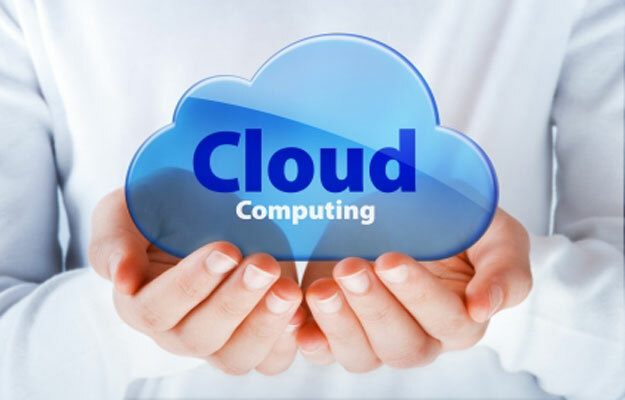 Cloud computing delivers a set of hardware and software computing resources over the Internet or any other network. These configurable resources include networks, servers, applications, services and storage, and are presented to users as a single on-demand service. The systematic application of multiple engineering disciplines to develop, operate and maintain cloud computing systems is called cloud engineering. This originated as a concept in 2007 but it was formally introduced in 2009. The main cloud engineering disciplines are discussed below; each of them takes commercialization, governance and standardization into consideration while designing the cloud system to provide the final business solution. Software: Software engineering is the most fundamental discipline for cloud services; it gives users remote access to application software and databases while the application platform and complex infrastructure is managed by the cloud provider. The established design, development, integration and deployment processes of software engineering now need be applied to distributed computing. Information: Data that was stored onsite in traditional business models is now stored on remote cloud servers and potentially distributed across data centers. The cloud system provider has to properly analyze how to take the existing data of an organization and build it into the cloud. This data needs proper integration while interfacing with other systems. The user also needs charting tools and dashboards to monitor and analyze their data. Performance: Software engineering will take care of functional business requirements, but performance engineering is needed to meet the non-functional requirements. The network, tools and resources of the cloud service must demonstrate an optimized system performance, conform to service level agreements and ensure availability and scalability. Security: Since cloud-based services, applications and tools are delivered over the Internet, they need to be monitored and tested to meet high security standards with robust password, network and storage policies put in place. The cloud system developed through software engineering principles is thoroughly analyzed and designed for reliability. Security aspects include preventing unauthorized access, and stability and sustainability in case of natural disasters. It also involves the secure process of migration from traditional platforms to the new cloud, in particular, interoperability and portability. Risk: Many sectors like finance and health have strict regulatory requirements. With externally controlled infrastructure in cloud computing, the user shares accountability with the service provider. The governance, risk and compliance policies need to be updated accordingly. The organization should include the right to regularly audit the cloud provider in the contract and demand a disaster recovery plan from the cloud provider. When developing the cloud solution, they need to analyze the new shared operating business model and identify the new risks that virtualization, widespread storage or data and resource sharing bring, such as service load balancing and data latency. Identity management is necessary to control user access to applications on the cloud. Proper architectural design, thorough testing and automation are some of the risk mitigation strategies. Web: Cloud computing uses the web or the Internet as its platform. Like any web-based system, Service-oriented architecture (SOA) and other web engineering processes needs to be kept in mind while designing and implementing the cloud-based solution. Cloud engineering is bringing about a huge technology shift in the IT world as mode businesses are moving toward cloud computing. It offers the advantages of automatic software updates through central hosting, operational cost savings and transferred infrastructural risks to the cloud provider. Proper application of the various disciplines in cloud engineering ensures a secure, reliable cloud solution to meet any business need. Jessie Brannen is a tech researcher that focuses on the latest developments in cloud computing. Her articles mainly appear on tech websites. Visit the link to find out more about ProfitBricks'cloud computing software company and the services they offer. Informational technology (or IT) is currently the best paid job sector in the world, with revenues that exceed 100,000 pounds per year. Luckily, it is also the field where you always obtain credits for your skills and jobs done and where you rarely interact with a grumpy or an annoying boss. However, obtaining a job in the IT field is far from an easy task, although it comes with great personal and professional rewards. First of all, you should know that the world of IT is mostly seen as a privileged group, some sort of secret society or organization, where only the most gifted ones adhere and are recruited. As bizarre as it may sound, these acceptances are somewhat real and understandable, given the paid revenues. It is true that only the gifted ones manage to succeed in the world of IT, but that is mainly because you must really enjoy what you are doing to be humanly capable to sit in front of a desk for up to 10-12 hours a day and work with numbers, digits and codes. Secondly, you either hate it or love it – there is no middle way turn in the field of IT. But apart from that, the world of informational technology can be as fascinating and enlightening as any other field, especially because of its extreme dynamic character. One of the biggest advantages you have working in the field is that you will never be able to say you got bored with what you are doing, as dozens of constant innovations appear each month. Moreover, most people tend to have a misconception regarding those working in the IT, as they tend to believe IT workers only deal with numbers and digits. In fact, they would be surprised to know the variety of careers one can opt for within the IT department, not to mention all the job challenges, promotions, responsibilities and opportunities. Cloud architects. The concept of “cloud storage” is relatively new to the world, as it has been only used for around a year. It appeared because companies were seeking for improved online storage locations, better protected and with better capacities. But what would a cloud architect do? Basically, the person is entitled to design solutions for all companies seeking to transfer their IT infrastructure and services from palpable servers to cloud solutions like Windows Azure. As being a highly motivational job with revenues of around 90,000 pounds per year, job applicants must be well recruited. A candidate is considered suitable for the job if he or she owns at least a bachelor’s degree in computer sciences, information systems or any adjacent and relevant fields. Computer programmers. The sphere of computer programming is extremely vast as it is consists of thousands of programs designed for specific purposes and uses only. For instance, programmers can be recruited to create anything from school programs to complicated software solutions used in the banking system or telecommunications. Usually, computer programmers are divided in three categories: junior level employees, medium level employees and seniors, each earning different incomes. For instance, a junior level programmer with an experience of up to two years in the field will earn around 2,500 pounds per month while a senior level employee could earn up to 5 times more. Project managers. It is known that multinational corporations work based on a hierarchic structure, with variable levels of power within the company. For instance, computer programmers can be supervised by a project manager, especially if they are paid based on their fulfilled projects. Depending on the size of the project, as well as the allocated funds, the project could have more than one project manager. Usually, his or her attributions include supervising other programmers, keep in touch with clients regularly and make sure all technical errors are eliminated within time. A project manager is set to earn around 4,000 – 4,500 pounds per month. Web developers. According to important publications such as CareerCast or Dice, web developers will be some of the most wanted employees in the field of IT. A good web developer can earn up 3,500 pounds per month, as well as benefit from a multitude of other advantages. Database administrators are also on the list, with earnings around 50,000 pounds per year. The forecast on the employment growth outlook confirms that by 2020, there will be 31% more database administrators worldwide. Guest Post by Steve of cwjobs . co . uk, if you are looking for IT Jobs check out their website. 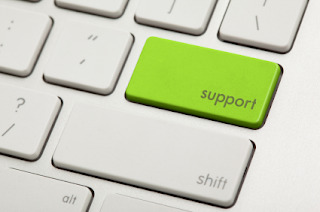 Choosing a reliable IT Support company is important, as it can make a huge difference in a business's bottom-line. While IT support teams are generally hired to maintain a company's internal network, the work performed effects every facet of the business in one way or another. IT support companies work to assist businesses with various components such as security, upgrading, installation, management, backup, and overall maintenance. Without a professional IT company on your side, a simple storm could cause you to lose every single bit of data stored on your network, even worse- a virus attack could lead to not only stored information being loss, but your entire network could be taken out of commission. Without the use of your company's network, your business could suffer tremendously. This is why it is important to hire professional IT Support Company you can trust- efficient business depends on it. The IT Support Company you choose to handle your company's day to day operations will need to be a reputable one. You will trust your company's information to this company, therefore it is important that they are honest and reliable. When choosing an IT Support company, it is imperative to make sure their services are affordable when compared to others in the area. Most major cities have an abundance of IT Support companies these days, so be sure you don't get stiffed. The price offered should be near average- if not below; there's also many freelance IT professionals who will service your company's network as needed. Many businesses which do not have large networks often use freelancers, however it is important to do a bit of research before letting just anyone handle your company's data. Prices should not include any hidden fees- if the company is not transparent about their costs, you should probably move on to the next one. This is not to say that "extra costs" do not arise, but they should be rare, and prices should remain in the neighborhood of your original quote. Lastly, remember- one of the oldest rules of any business is- "you have to spend money to make money." Don't skimp on your IT services, it very necessary, in order to keep your company's files safe, and your business up and running. Without this, you could lose money, prospective customers, and a load of documents and files which are needed. Your ROI, or return on investment will be well worth it regardless of what it costs to hire a IT Support company. IT professionals work to assist businesses with their internal network, keeping watch on security and other components which have to do with the company's system. They are usually hired in teams, and for large companies their hours coincide with business hours. This is to keep the network running smoothly, as one little glitch could cause an entire system to crash. The IT Support team which is chosen is so very important that it could make the difference in a business's success or failure. Losing files or getting your system hacked could easily spell disaster- but a good team of IT professionals would nip this in the bud before it ever happens. Make sure the company you hire has a good record, which includes maintaining the safety and integrity of any previous networks which they may have worked on. There are a few ways of checking the past record of a business; going to The Better Business Bureau's website, doing research for reviews, and calling their references. Background checks are good as well. Remember, you can never be too careful, because you will be trusting sensitive information with whomever you decide to hire. Visiting the website of prospective businesses who you are looking to hire is a great way to get a bit of history. Finding out how long they have been in business will tell you how much experience they have working in the field, and provide a ration of how many years they've worked versus the ratio of complaints they've received. You will want to know whether they have experience in computer backup and security- which includes keeping close watch on email and all other facets of an employee's work account. Hiring an IT Support Company No matter what kind of business you have, it is important to hire an IT Support team of some kind. While they may not seem of value on a day to day basis, should your computer system crash or catch a virus, you will definitely regret not having their assistance. 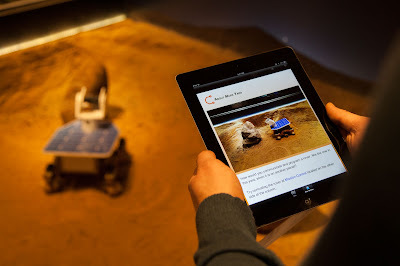 Adam wood is a tech enthusiast, loves to keep himself updated to latest technology space. He works as Senior Product Manager at Concise UK, one of the leading managed Business IT Support company.